Leptin helps control body fat and prevent weight gain, but only when there’s enough of it and when it’s working properly. Leptin is a hormone with a key role in food intake and body weight homeostasis. Research on how to increase leptin sensitivity is still in the early stages, but some clear strategies are emerging. The key to treating leptin resistance is to target the two clearly identified underlying causes you read about in “What Is Leptin? : inflammation in the hypothalamus and poor gut health/increased gut permeability. Below are five excellent ways to get leptin resistance under control by targeting these underlying mechanisms. Go gluten-free. As you learned in our What Is Leptin? post, gluten is now known to leak through the intestinal lining and increase intestinal permeability in everyone who eats it. Increased intestinal permeability then causes inflammation in the hypothalamus, reducing leptin sensitivity. [3[ Removing gluten (all foods and food additives containing wheat, rye, and barley) from your diet will help heal leaky gut, improve gut health and gut barrier function, and incite less inflammation throughout the body, especially in the brain. You will get much better results in terms of weight loss and improving your overall health if you avoid “gluten-free” and “sugar-free” alternatives to processed, refined foods altogether. For instance, replace gluten-containing foods with whole, fresh foods instead of with gluten-free breads, pastas, and baked goods. Feed your gut bacteria with prebiotics and probiotics. Knowing how to increase leptin sensitivity by improving gut health and promoting healthy gut bacteria is key to reversing leptin resistance. A healthy balance of gut bacteria is critical for maintaining the integrity of the intestinal barrier and keeping inflammation at bay. Prebiotics are fibers that are fermented by healthy gut bacteria (such as bifidobacteria and lactobacilli) that improve the health of intestinal lining, decrease inflammation, and increase leptin sensitivity. 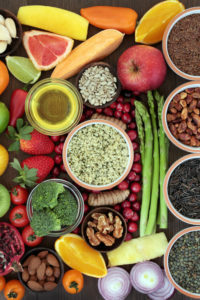 Make sure to include plenty of prebiotics in your diet by eating garlic, onions, leeks, asparagus, Jerusalem artichokes, shallots, beets, fennel, green peas, snow peas, savoy cabbage, chickpeas, lentils, nectarines, white peaches, watermelon, grapefruit, pomegranate, dates, figs, pistachios, and cashews. Probiotics are also important and have been shown to help treat and prevent obesity, possibly by increasing leptin sensitivity. Many different probiotics have been found to reduce weight and modify leptin, including numerous strains of lactobacilli and saccharomyces boulardii. [10,11] Raw fermented foods contain probiotics. Eating fermented foods such as sauerkraut, kimchi, yogurt, and kefir also helps maintain the integrity of the intestinal barrier, improve the balance of gut bacteria, and can help promote fat loss. Learn more in Prebiotics vs Probiotics: What’s The Difference? Exercise. Physical activity has anti-inflammatory effects directly in the hypothalamus and restores leptin sensitivity. [21,22] Exercise, therefore, is integral in the treatment of leptin resistance. Get your body moving in whatever way is fun and enriching to you, whether it’s walking, Zumba, Crossfit, swimming, running, yoga, or one of the hundreds of other ways to get your heart rate up and your muscles pumping. If you are currently sedentary or not very fit, it is vital that you start slowly, gradually stepping up the frequency and intensity of your activity, in order to prevent injuries. Your goal should be at least thirty minutes a day of moderate exercise (less with high intensity exercise) most days of the week. When you exercise, the stress on your muscle cells causes them to secrete inflammatory compounds, like IL-6, which goes to the brain and paradoxically has anti-inflammatory effects in the brain and causes leptin sensitivity to increase. If you’re overweight, treating leptin resistance is one of the most important things you can do for losing weight and keeping it off. Research on how to increase leptin sensitivity to reverse leptin resistance is only in its infancy. Eat more polyphenol-rich plant foods. Get more prebiotics and probiotics. Get 30 minutes of exercise most days of the week. If you’ve used these or other strategies to reset your body’s weight set point, tell us about it in the comments section below. BMC Biochem. 2015; 16: 3. J Nutr Biochem. 2014 Apr;25(4):446-55. Am J Physiol Regul Integr Comp Physiol. 2008 Nov; 295(5): R1370–R1375. Nat Rev Endocrinol. 2011 Aug 9;7(11):639-46. J Appl Microbiol. 2012 Dec;113(6):1507-16. Mol Nutr Food Res. 2013 Jan;57(1):34-47. Eur J Nutr. 2011 Apr;50(3):151-61. PLoS One. 2013; 8(10): e77585. J Nutr Biochem. 2015 Feb 26. pii: S0955-2863(15)00031-5. J Nutr Biochem. 2014 Oct;25(10):1084-9. Life Sci. 2014 Oct 12;115(1-2):29-35. Am J Physiol Endocrinol Metab. 2013 Sep 1;305(5):E649-59. Physiol Behav. 2012 Jun 25;106(4):485-9.
always hungry, anti inflammatory, antioxidant, avoid gluten, bacteria, beets, blood pressure, brain, curcumin, dates, diabetes, diet, exercise, fat loss, fermented foods, food, garlic, gluten, gluten free, gluten free and, green tea, gut bacteria, gut health, health, healthy gut, hormone, how to increase leptin, how to increase leptin sensitivity, increase leptin sensitivity, inflammation, leaky gut, leptin, leptin foods, leptin resistance, leptin sensitivity, losing weight, lower blood pressure, muscle, nutrients, obesity, physical activity, phytonutrients, polyphenols, pomegranate, prebiotics vs probiotics, probiotics, resveratrol, reverse leptin resistance, sauerkraut, spices, stress, sugar, turmeric, vegetables, weight gain, what is leptin, why am i always hungry, wine, yogurt. I’ve found that intermittent wet fasting with multi-salts water and dry fasting for maximum autophagy effects has also done wonders for balancing my hormones and increasing sensitivity to them. So much so that I needed to do research to find out why my body was acting differently then it had ever done before I finally lost a significant amount of weight and getting to a more lean and healthy weight. This article was very helpful and will be another bit of knowledge I’ll use to help me reach my optimum weight and health. Thank you! Vicki, can you tell me more about: intermittent wet fasting with multi-salts water and dry fasting for maximum autophagy ??? thanks! I have not been tested for leptin resistance but I am having a difficult time losing weight. I started a clean eating and exercise plan last April. I have only lost one size which is so frustrating. I recently started researching to find answers and learned about leptin resistance. I just started intermittent fasting as well as no snacking between meals, keeping calories to 400-600 per meal, increasing fiber, and decreasing sugar. I also began to walk/exercise each day and drink 90 ounces of water per day as well as green tea. I do feel lighter after two weeks even though the scale is not budging. I am going to keep going and hopefully see results soon! I am a T2Dbetic. I was put on combo Novorapid and Levemir. <y weight ballooned from 69kg to 90kg. By then I knew something was wrong with these meds. Then I discovered Jason Fung and fasting. I do both the Intermittent Fast as well as a weekly two day fast. This has been a revelation as I have now lost 7kg. The general idea behind fasting is that the body resets (or repairs) itself when in a fasted state – and it does this by normalising the myriad of hormones in our body. It works and so I am sticking with it. I havent checked that I am leptin resistant but I suppose I was but as I have lost 7kg by leptin levels must have normalised. 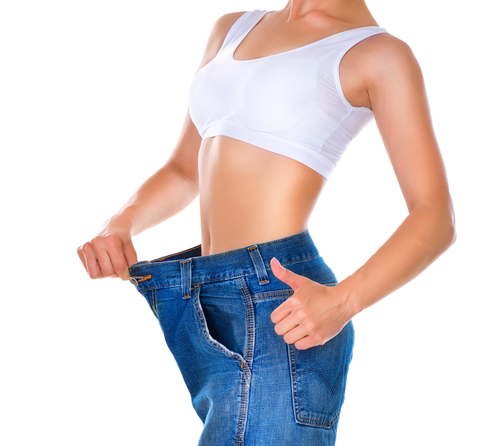 My question – where can one get leptin resistance tests??? ?